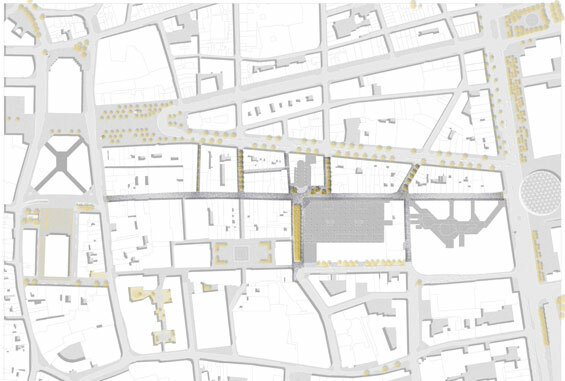 Brussels’ premiere commercial street, Rue Neuve, is in urgent need of a facelift. 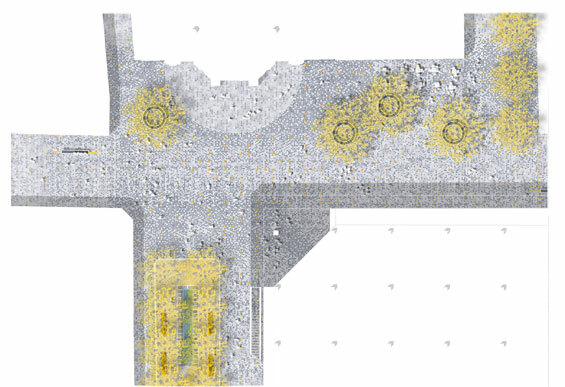 The City of Brussels thus conceived of a redevelopment process with two objectives. 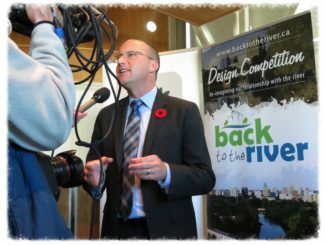 Firstly a masterplan to develop strategic projects to give a mixed identity to the entire district with an emphasis on diversifying the trade program, increasing mixed functions such as residential space finally to connect with surrounding functions. 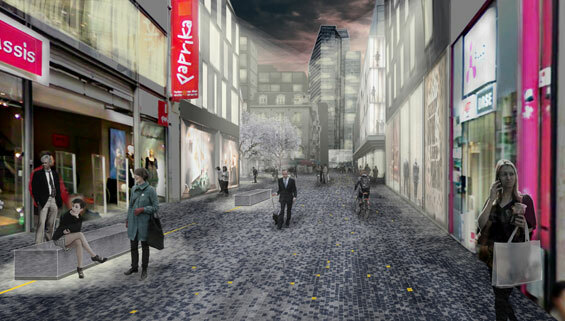 The Rue Neuve and adjacent streets will then be renewed completely according the vision expressed in the masterplan. 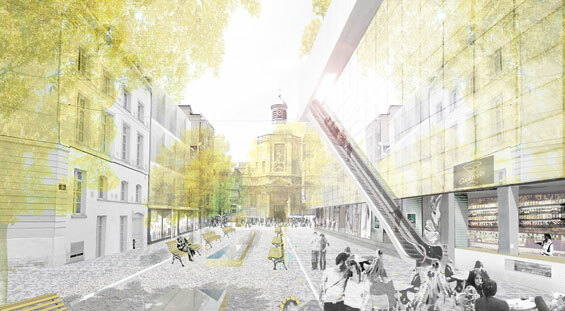 Based on the report of the jury, presided by the Brussels Regional Architect, the City of Brussels appointed the team BUUR/LATZ+PARTNER with IDEACONSULT and ARA, based on the competition proposal “From New Street to New District” (‘VAN NIEUWSTRAAT NAAR NIEUWE WIJK’).